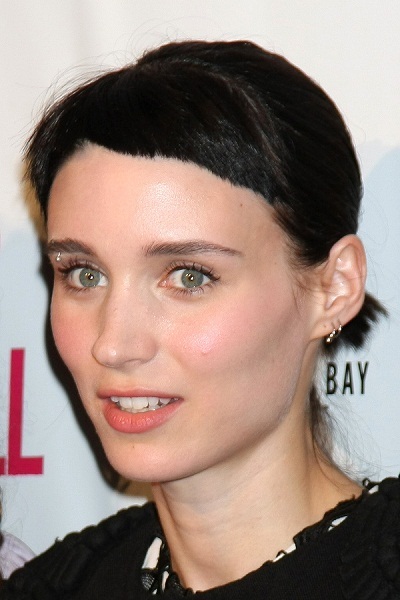 Place of Birth: Bedford, New York, U.S.
Rooney Mara is an American actress, philanthropist, and fashion designer. She is the daughter of Kathleen McNulty (Rooney) and Timothy Christopher Mara. Her sister is actress Kate Mara. Her parents are both from prominent families with a football team-founding patriarch (the New York Giants for her father and the Pittsburgh Steelers for her mother). Rooney’s paternal grandfather was of Irish descent, and Rooney’s paternal grandmother was of half German, as well as of Irish and French-Canadian, ancestry. Rooney’s mother is of Irish and Italian descent. Rooney’s great-uncle, Dan Rooney, was the U.S. Ambassador to Ireland, from 2009 to 2012, and Chairman of the Pittsburgh Steelers, from 2003 to 2017. Her first cousin, once removed, Art Rooney II, is a co-owner and President of the Steelers. Rooney’s paternal grandfather was Wellington Timothy Mara (the son of Timothy James Mara and Elizabeth “Lizette” M. Barclay). Wellington was born in New York, and co-owned the New York Giants football team. Rooney’s great-grandfather Timothy was the founder and administrator of the New York Giants, and was born in New York, the son of Timothy James Mara and Elizabeth A. Harris, who were both of Irish descent. Rooney’s great-grandmother Elizabeth Barclay was the daughter of Henry Laurence/Lawrence Barclay, Sr., who was born in London, England, of Irish descent, and of Elizabeth/Lizzie Deborah Armstrong, who was born in Pennsylvania. Rooney’s paternal grandmother was Ann/Anne Maria Teresa Mumm (the daughter of George Henry Mumm and Olive V. DuBord). Ann was born in New York, and was a businessperson, socialite, and philanthropist. George’s father, Philip Mumm, was born in Germany, the son of Veith Mumm and Margaret Leydecker. George’s mother, Rose/Rosa A. Hebel, was born in either England or New York, to German parents. Olive’s parents were James Ignatius DuBord, who was born in Canada, and Elizabeth Conlan/Conlen. The surname DuBord is French, suggesting likely French-Canadian ancestry. The surnames Conlan and/or Conlen are Irish, suggesting Irish ancestry. Rooney’s maternal grandfather is Timothy James “Tim” Rooney (the son of Arthur Joseph “Art” Rooney, Sr. and Kathleen McNulty). Timothy was born in Pennsylvania, and runs Yonkers Raceway in Yonkers, New York. He is of Irish descent. Rooney’s great-grandfather Arthur was the founding owner of the Pittsburgh Steelers football team. Arthur was the son of Daniel M. Rooney, who was born in Wales, of Irish descent, and of Margaret A. Murray, who was born in Pennsylvania, also of Irish heritage. Kathleen was born in Pennsylvania, the daughter of John Henry McNulty and Kathleen B. Devlin, who were of Irish origin. Rooney’s maternal grandmother is June Ann Marraccini (the daughter of Joseph Marraccini and Josephine Campagna). June was born in Pennsylvania, and all of her own grandparents were Italian. Joseph was the son of Arcangelo Angelo Silvestri Leopoldo Marraccini and Maria Adele Carmela Tognarini, who was born in Florence, Tuscany, Italy. Josephine was the daughter of Anthony Campagna and Teresa Gabalgo.